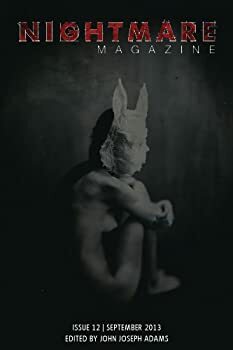 Linda Nagata is the author of multiple novels and short stories including The Bohr Maker, winner of the Locus Award for best first novel, and the novella “Goddesses,” the first online publication to receive a Nebula award. Though best known for science fiction, she writes fantasy too, exemplified by her “scoundrel lit” series Stories of the Puzzle Lands. Her newest science fiction novel is The Red: First Light, published under her own imprint, Mythic Island Press LLC. She lives with her husband in their long-time home on the island of Maui. CLICK HERE FOR MORE NOVELS BY LINDA NAGATA. The Red: (2013- ) There Needs To Be A War Going On Somewhere. Lieutenant James Shelley commands a high-tech squad of soldiers in a rural district within the African Sahel. They hunt insurgents each night on a harrowing patrol, guided by three simple goals: protect civilians, kill the enemy, and stay alive — because in a for-profit war manufactured by the defense industry there can be no cause worth dying for. To keep his soldiers safe, Shelley uses every high-tech asset available to him — but his best weapon is a flawless sense of imminent danger… as if God is with him, whispering warnings in his ear. Hazard Notice: contains military grade profanity. 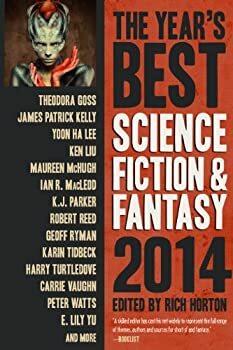 Nominated for the 2013 Nebula Award and selected for the Locus Recommended Reading List. 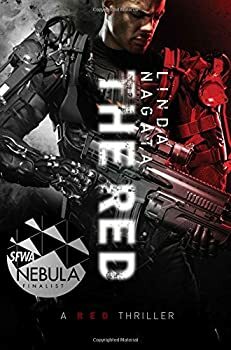 James Shelley, the main character of Linda Nagata’s Nebula-nominated novel The Red: First Light, is the high-drama leader of a Linked Combat Squad or LCS. It is Shelley’s opinion, shared at length with his squad, that “there has to be a war somewhere,” and that these wars are consciously orchestrated by the cabal of defense contractors who grow mega-rich off military contracts. Nightmare has made it for a year now: the September issue is the twelfth. Based on the quality of the magazine to date, I hope it manages to at least cube that number. 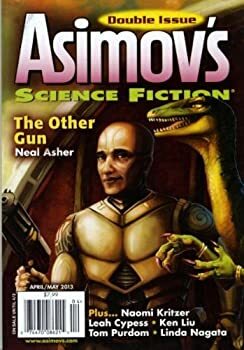 I've been reading a lot of anthologies lately, including another of the several "Year's Best" collections (the Jonathan Strahan one). I was pleased to find that, unlike some of the others, this one matched my tastes fairly well for the most part.